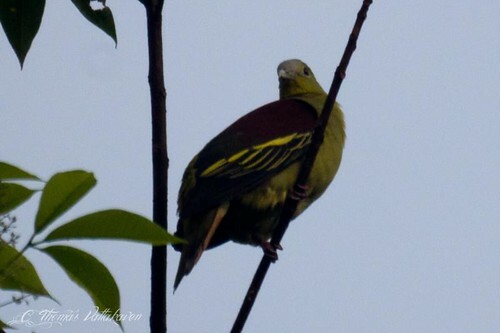 The Pompadour Green Pigeon (Treron pompadora) is a species of forest dwelling pigeons. 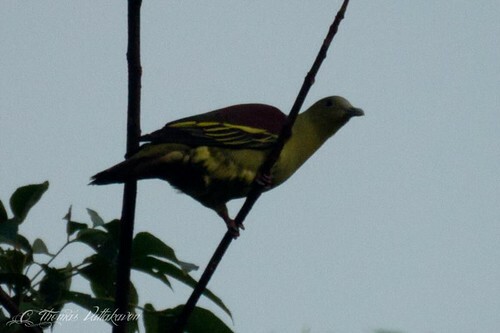 This species has at least 5 sub-species. 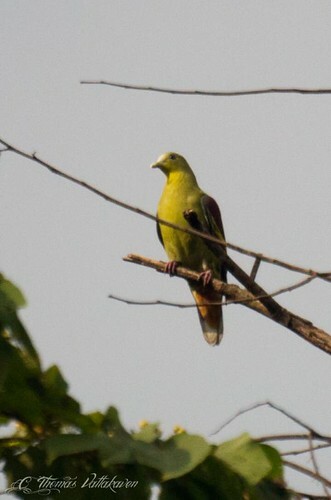 The head is greenish-yellow with a grey patch on the forehead. The back and the wings have a maroon chestnut colour. In the females this maroon mantle is replaced by greenish grey. 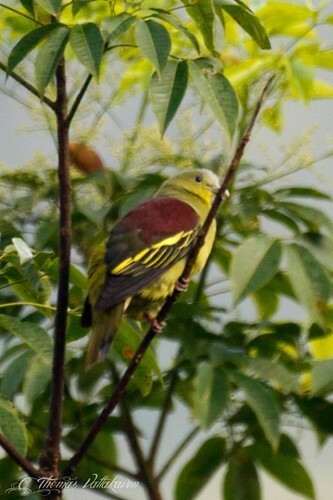 The wings also have a distinct yellow edging. The legs may be red in some species. It is the sub-species axillaris which have the greyish legs pictured here. The iris is a dark reddish , the beak whitish-grey with a greenish or bluish tinge. 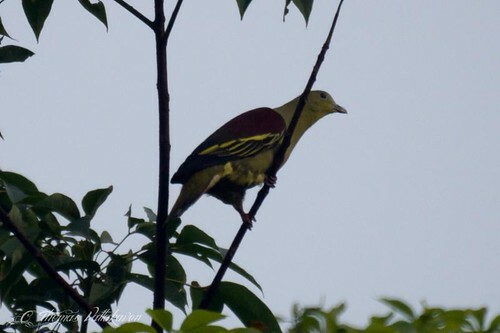 They are usually seen single or in small groups, usually in the forests. 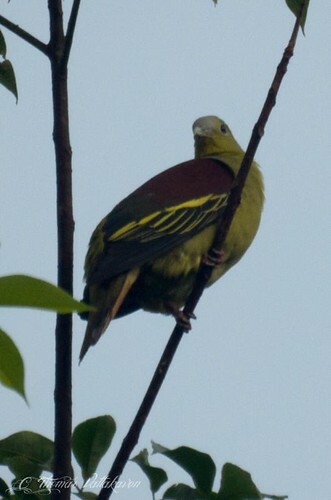 They almost never descend onto the ground and are mostly seen in the branches of trees. They have a very fast and strong flight. It breeds between March to June, sometimes extending into August. The nest is a platform of twigs, placed in bushes or small trees. Only 1-2 eggs are laid. Both sexes share all duties. 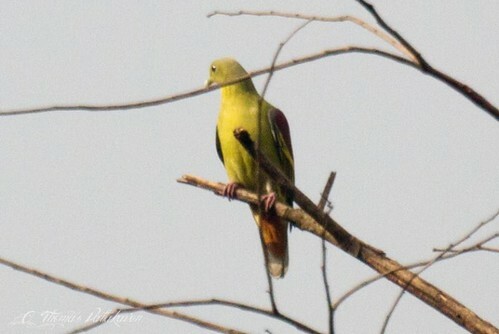 Other Details: Seen sitting solitary on the topmost branches of a tall tree at a distance of approx 50 m from us. Appeared undisturbed by humans. A similar spotting 1 hr later in another location.